Are you ready to take your invention idea to the next level? 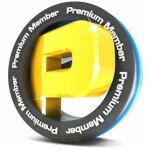 We are proud to introduce our premium membership service for inventors! This service includes all the free features we offer to all inventors with the addition of some exciting tools. With a Premium Invents account, you will be able to post an unlimited amount of inventions to both our product pages and press release section. You will also receive an Inventor Start Kit. This kit includes much of the information you would receive from a high end invention marketing company – but at a fraction of the cost. The Inventor Start Kit will help you launch your invention by walking you through the right steps to successfully protect and market it. Having your product visible 24/7 to potential investors and manufacturers across the nation will give you a distinct advantage while marketing your new invention. You can use your online listing to supplement your existing marketing campaign and give you a more professional presentation. In addition to access to our premium services, you will receive our Inventor’s Ebook. This digital publication is a comprehensive guide to entering product development as a career. Learn how to become a successful, professional inventor for less than tonight’s dinner! We are offering our Premium package at a low affordable price of $19.95. This is a great value for any inventor! Sign up now and get started with launching your invention idea today!